Can you really learn Spanish on YouTube? After all, isn’t YouTube for dancing cats and other mindless distractions? Actually, if you look for Spanish videos on YouTube, you’ll find that the challenge isn’t in finding real learning content. After a few clicks, you’ll find thousands of free YouTube videos trying to do exactly that: teach you Spanish. But this turns out to be both a blessing and a curse. The quality of the lessons vary enormously, and you have to spend a ton of time sorting out the wheat from the chaff – especially if you’re a beginner. I know your pain, and that’s why I’ve selected my top eight picks to help you learn Spanish on YouTube. They’re all different, but what unites them is their professional approach and presentation, strong teaching skills, and ability to keep you engaged. Why Study Spanish on YouTube? So you might first be asking: Why should I start with YouTube? You might already have books or structured lessons in a classroom, but it’s always a good idea to diversify your language learning diet with multiple sources. 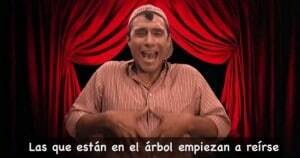 Many of the videos also allow for close-up study of lip and mouth movements of Spanish speakers. You can watch in your own time and pause and rewind whenever you need to. Say what you will, but the best Spanish learning content on YouTube is actually really good. I’d argue that the need to compete with the rest of YouTube has forced these teachers to elevate their game. Who thought that learning a new language could be so much fun? Web Spanish is a neat series of videos provided by webspanish.com. 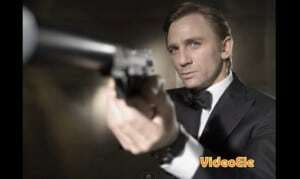 They are voiced and presented by actors who take on different roles and find themselves in a wide range of situations. For example, a “policeman” talking about his mission and a “tour guide” discussing a typical dish. You may chuckle a little, but you’ll also learn. This is a different approach to the more formal video lessons, but it’s a welcome and refreshing change. The tone is light and there are good uses of images, which helps the viewer memorize key words and phrases. The videos are entirely in Spanish; there are no translations or English subtitles, but the pace of speech is slow to moderate. Therefore, these video lessons are ideally suited for those at the advanced beginner stage and above. If Señor Jordan ever decides to quit teaching Spanish lessons, there’s probably a career in stand-up comedy waiting for him. A natural-born performer, he uses his great sense of humor to deliver fun and sometimes funny lessons for beginners. They are short, punchy, and very entertaining. Make sure you check out his song for remembering the irregular first person forms in the preterite tense. You’ll soon be singing along – which is actually the idea. 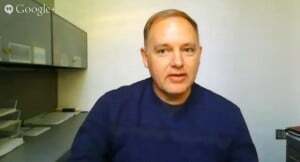 Professor Jason offers a series of comprehensive free Spanish videos that cover many different aspects of grammar and speech. For example, the placement of adjectives, when and how to use the subjunctive, and asking and answering questions. 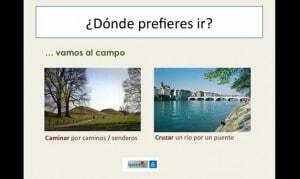 There are videos for beginners, intermediates, and advanced Spanish language learners. They last for twenty to thirty minutes, which makes them much longer than many other free Spanish videos on YouTube. That maybe too long for some people to take in one sitting, but the joy of videos is that you can always stop and come back to them later, picking up from where you left off. Professor Jason has an expert’s ear for Spanish and his presentation is warm, friendly, and engaging. During the videos he’s either speaking straight to the camera or his voice is heard as the camera focuses on what he’s writing. He speaks in both Spanish and English, translating as he goes along. SpanishDict’s videos are always good because they’re well produced, crisply presented, and also well structured and organized. All the basics are covered and there are even separate videos focused solely on pronunciation of the words. The lessons fly by at a comfortable speed and feature interactive elements. So there’s no chance of nodding off. 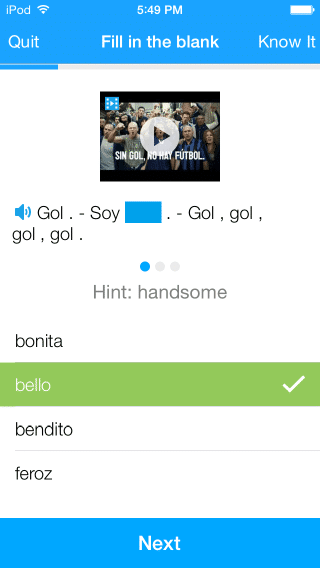 SpanishPod101 gives an entertaining introduction to Spanish life, culture, and language. These free video lessons include topics like Spanish holidays and fiestas, hobbies, staying fit, and relaxing. 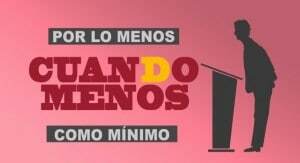 The well-produced videos are between two to four minutes in duration and done entirely in Spanish, with Spanish and English subtitles. These lessons are especially helpful for intermediate and advanced Spanish language learners. The narration is done at normal speed and there are few interactive elements, although each lesson does include a quiz question and a fun fact. There are also video lessons dedicated to Mexican Spanish. Love the videos on their YouTube page? Then you should definitely explore the rest of what SpanishPod101 has to offer with their complete Spanish program—there are currently 1,600 lessons and counting! 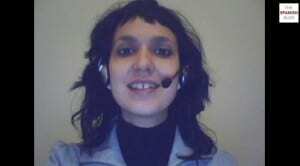 The Spanish Blog video series is a collection of free Spanish lessons with native Spanish Teacher Laura Garrido Eslava. There are lessons for all levels, from beginners and pre-intermediates to advanced Spanish language students. The lessons typically last from three to five minutes, and during each one Laura speaks directly to the camera. The presentation is formal with a clear and easy-to-follow structure. Laura speaks first in Spanish and then in English. There are interactive elements too, as she asks you to translate words and phrases. Spanish sessions gives a really good introduction to the Spanish language, from learning how to pronounce the alphabet and asking directions, to more complex material such as when to use the subjunctive tenses. The videos deploy a range of devices including real life situations, a classroom setting, and the presenter talking straight down the camera. There are no translations, just Spanish, and the spoken words are supported by large Spanish subtitles. Awesome! Why don’t more video lessons on YouTube do this? Sometimes you come across videos where the subtitles are so small you need the Hubble Telescope to be able to see them. Each lesson concludes with a series of slides and graphics that recap what you’ve just seen and heard. It’s a good way of committing new things to memory. What a great name for a channel! It sure caught my attention. This multi-level video series has lots of lessons covering different situations, such as dining out with friends and attending a meeting. 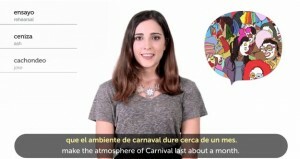 The lessons are well paced, and consist of a presenter speaking a Spanish sentence followed by a graphic that shows the same sentence in its written form and the English translation. There’s enough of a pause between each section to give you time to commit the words and meanings to memory. The average video length is five minutes. Currently the playlist is a bit of a mess, which is slightly annoying, but just scroll down to find the excellent lessons. She does excellent, brief clips and assigns them levels according to the Common European Framework . I really like her videos; the language is clear and very well planned according to each level. Hope you enjoy them too! 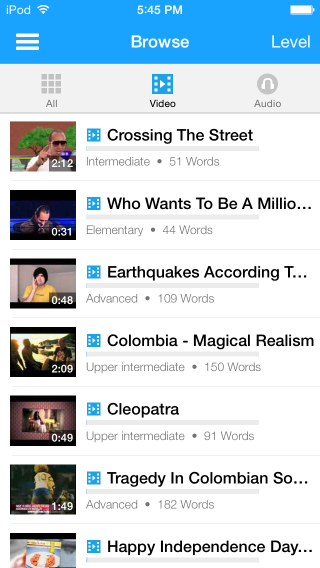 These are great videos for specific language goals. These tend to be more obvious teaching lessons and not natural speaking videos. They’re especially great for beginners. This would be for higher level learners, but they have great tips about common mistakes that even native speakers may make. 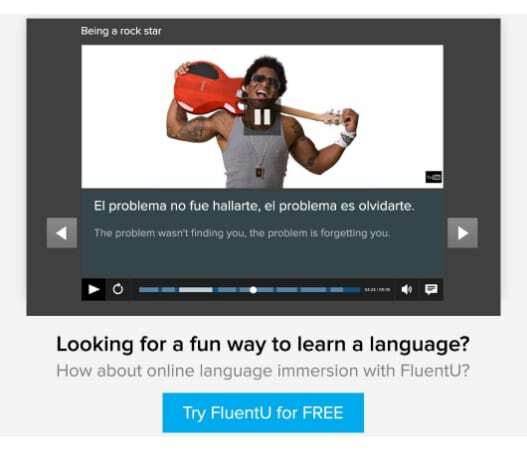 FluentU makes native Spanish manageable with interactive transcripts. You can tap on any word and instantly look it up. All definitions have professionally written examples that help you understand how the word is used. You can also add words you want to review to a vocab list. 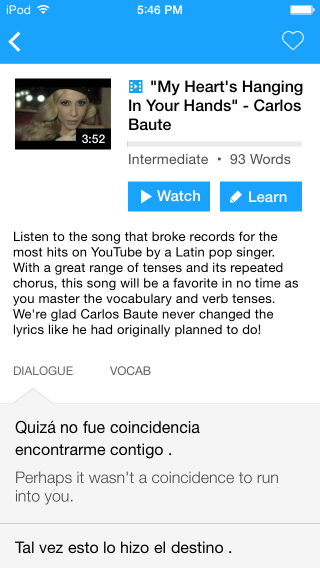 Interactive transcript for a popular Spanish song. And there’s a personalized review mode for each video. You can swipe left or right to see more examples for the word you’re learning. Quiz for a popular football commercial. 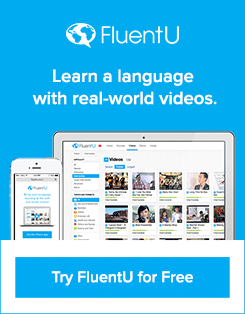 The coolest part is that FluentU keeps track of the vocabulary you’re learning – and it suggests videos and examples based on the words you’re learning. Every user has a fully personalized experience, even if they’re learning the same video as someone else. Start using FluentU on the website with your computer or tablet or, better yet, download the FluentU app for Android or iOS devices. 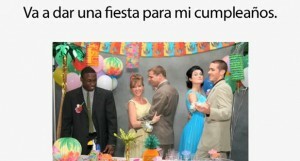 Learn How to Speak Spanish Online Fast by esaudio.net – short, fun videos covering numerous facts and activities. Some of the lessons are presented by puppets! Learn Spanish – a good selection of video lessons, mainly for beginners, that allow the student to communicate in everyday situations.